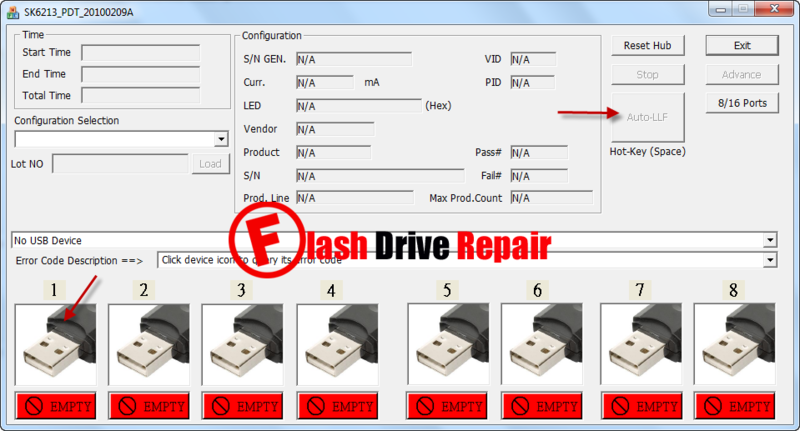 Learn how to fix corrupted Skymedi USB flash drives .SK6213 PDT format tool can reformat and repair Skymedi SK6213 Chip controller .Download Skymedi SK6213 recovery tool and repair your Flash disk . Skymedi SK6213 PDT utility is designed to repair and update flash firmware for Skymedi with Chip controller SK6213.Skymedi SK6213 PDT format tool can make low level format for corrupted USB flash disk that have format errors like Write protection disk error ,Windows unable to format your flash drive and many format problems . Samsung (K9ABG08U0M) memory chip VID = 1516 , PID =1213. Everon 4GB USB flash drive (Skymedi SK6213 chip) . How can repair Skymedi SK6213 chip controller ? Download Skymedi SK6213 PDT firmware update software from download links below . Insert Corrupted Skymedi SK6213 Flash drive to your computer . Extract zipped folder then open this file SK6213_MP_TOOL.exe , if your flash drive supported , you will see your flash drive information appears on the program interface as the previous picture . Click Auto LLF to reformat your corrupted USB stick .